School portrait packages can be customized with different photos from a student's set of images. All ordering is done online and through a private link that is emailed to the guardian of the child. Final print packages are mailed directly to the purchaser. There is no fee for the school to have Talitha Tarro Photography provide portraits to the school as all funds are raised through print and digital image sales. 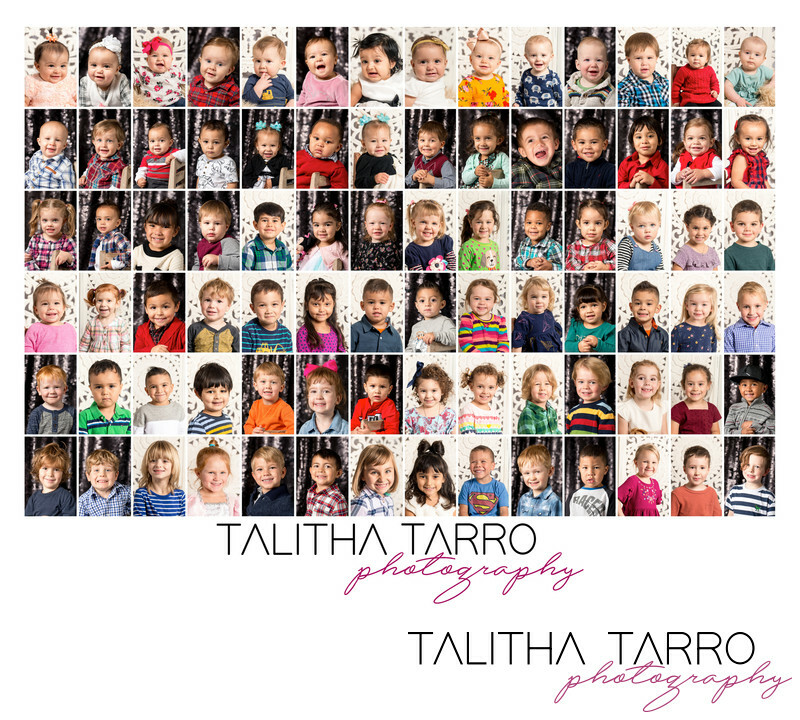 Here is an example of the school portraits that Talitha Tarro Photography provided for a private Daycare/Preschool that provides childcare to children from 6 weeks old through preschool.